RFJW10 Water Jet Loom newly designed by three-dimensional designing software and computer analytic combination. The weft insertion, shedding and beating-up mechanism were designed by the technology of virtual prototype. More than 25% vibration can be reduced and more than 5% power can be saved than normal looms. 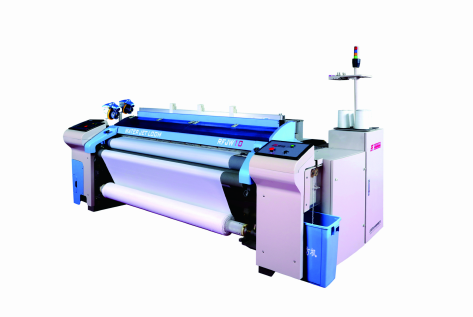 It shows excellent performance on flexibility for high speed and wide weaving versatility. 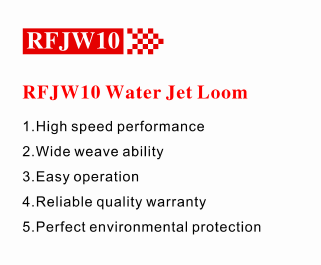 RFJW water jet Loom is one of the best choices for economic weaving. Looking for ideal High Efficiency Water Jet Loom Manufacturer & supplier ? We have a wide selection at great prices to help you get creative. All the High Speed Water Jet Loom are quality guaranteed. 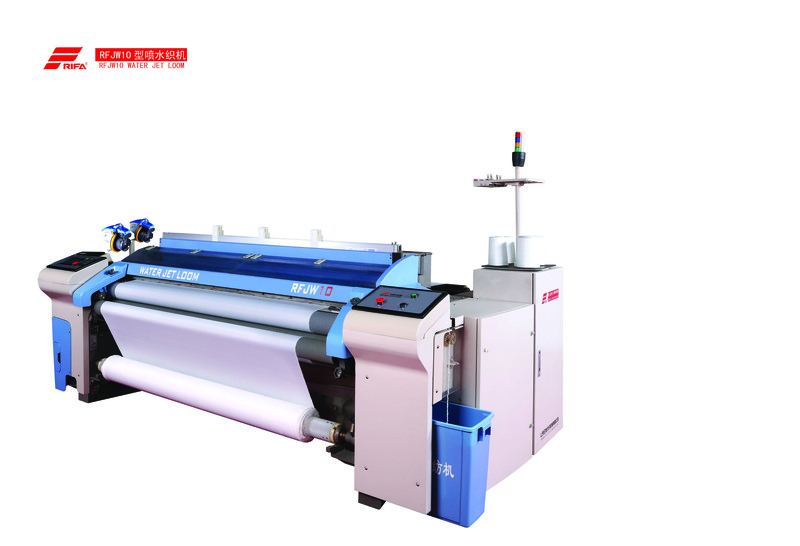 We are China Origin Factory of RiFA Water Jet Loom. If you have any question, please feel free to contact us.